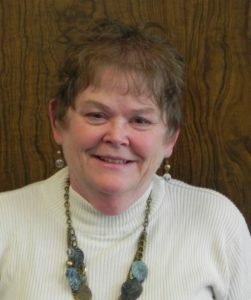 Barbara Haase, MHS, OTR/L, FAOTA is Director of the OTA Program. She is a graduate of Western Michigan University with a bachelor of science in occupational therapy and has an advanced master’s degree in OT from the University of Florida. Barbara is a Fellow in the American Occupational Therapy Association which was awarded to her in 1998 for “Championing the Role of Neurorehabilitation in Occupational Therapy.” She has over 35 years of experience as an OT in physical disabilities, early intervention, and adult developmental disabilities. Her experience includes 3 years as an OT with the Peace Corps in the Eastern Caribbean. She previous taught in the OT Program at the University of Toledo (previously Medical College of Ohio). She is an experienced presenter both at several state conferences and on the national level, both with AOTA and the National Stroke Association. She has written a book chapter, “Cognition” in the book: “Assessment in Occupational and Physical Therapy.” She is published in AJOT. 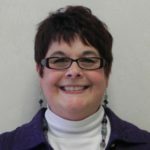 She has volunteered at the national level with AOTA with accreditation on the Roster of Accreditation Evaluators, specialty certification, book reviewer, and as a conference paper reviewer. She has served in state leadership position in Ohio, Tennessee, and Utah. Barb teaches introductory courses, the physical disabilities sequence, and other OT support courses. Teri LaGuardia, MOT, OTR/L is the Academic Fieldwork Coordinator. Teri graduated in 2005 from Cleveland State University with a bachelor’s degree in psychology. She then obtained her master of occupational therapy degree from Cleveland State University in 2008. 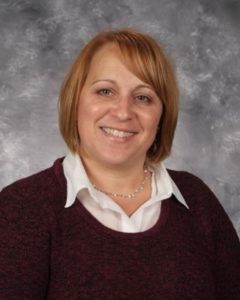 Teri is a member of the Ohio Academic Fieldwork Coordinator’s Consortium and the Northeast Ohio Fieldwork Council. 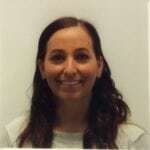 Along with teaching the fieldwork courses, she teaches pediatric OT, assistive technology, and other support courses. Teri’s primary clinical interest is in pediatrics. She has worked in a variety of sites including school system and outpatient clinic settings and is currently providing services to children who are home schooled. She has been involved in research promoting positive children’s mental health which has been funded by the Ohio Department of Education, Office of Exceptional Children. This initiative titled “Every Moment Counts” continues to be promoted both nationally and internationally, with a two‐day workshop currently being developed. Teri is a co‐author of an article published in the American Journal of Occupational Therapy discussing aspects of this research. She has presented at both the American Occupational Therapy Association national conference and the Ohio Occupational Therapy Association state conference on topics related to Every Moment Counts. Her interest in children’s mental health has led to training in Youth Mental Health First Aid. Teri teaches online courses for the Master of Occupational Therapy Program at Cleveland State University titled “Occupational Therapy/Physical Therapy in the Schools” and “Mental Health Promotion in Children and Youth for Occupational Therapists.” Teri serves on the board of the Ohio Occupational Therapy Association as a social media co‐chair. Teri also serves on the Board of Directors for Connecting for Kids, a nonprofit whose mission is to provide education and support for families with questions or concerns about their child. Teri is the co‐creator of the Sensory Red Flags, sensory awareness campaign developed for Connecting for Kids as a way to help parents identify some of the common challenges in children with sensory processing issues. This campaign also provided free sensory consults to help parents understand their next step in helping their child. 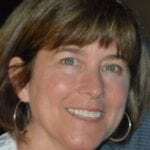 Colleen M. Davis, BS, OTR/L, CHT is adjunct faculty teaching Neuromuscular Applications and Activity Analysis. Colleen graduated from Mount Mary University with a bachelor of science in occupational therapy and became a Certified Hand Therapist in 1992. She has 32 years of experience as a manager and clinician in Level I trauma teaching hospitals and private practice with a strong interest in anatomy, physiology and the psychology of human movement. She is currently working on assisting in the development of the Physical Therapy Orthopedic Residency Program ‐Elbow Section at The University Hospitals Department of Rehabilitation and Sports Medicine. She has designed and developed outpatient occupational and physical therapy rehabilitation centers working closely with Orthopedic and Plastic Surgeons throughout the United States. She has assisted with many published research articles in Orthopedic Hand Surgery and has authored a chapter in Master Techniques in “Orthopedic Surgery: The Hand.” Colleen has participated in international, national and collegiate level public speaking and was an invited lecturer for the International Federation of Society for Hand Therapists (IFSHT). Amee Koehler BS, COTA/L is an adjunct faculty member teaching Career Explorations in Occupational Therapy and OT in Geriatrics. She received her bachelor’s degree in recreational therapy with a concentration in geriatrics from The University of Toledo before pursuing her associate degree at EHOVE in the occupational therapy assistant program. Amee has extensive clinical experience in the area of mental health, geriatrics, acute rehabilitation, and acute care. She has worked with a wide range of diagnoses and settings from a locked psychiatric unit, skilled nursing facilities, home health, acute rehabilitation in a hospital setting and acute care hospital setting. Amee is on the EHOVE OTA Advisory Board and assists in the interview process for incoming students each year. Marty Siegel, BS, OTR/L is an adjunct faculty member teaching therapeutic use of self as part of Therapy Concepts and Mental Health OT. She is a graduate of Lourdes’s College as a COTA/L, later laddering to be an OTR/L with a bachelor of science degree from Misericordia. In her nearly 30 years of experience in occupational therapy she has had considerable experience in mental health units. Marty completes mission trips as an occupational therapist to the Ukraine. Marty is on the EHOVE OTA Advisory Board and assists in the interview process for incoming students each year.